Distilled spirits dollar sales were up 3.8 percent in the month of March, which was slightly below the 6.8 percent growth seen over the last 3 months. 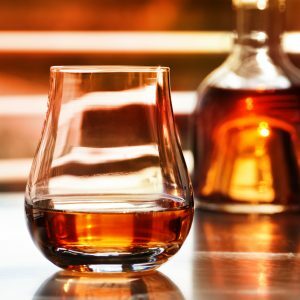 Across brown spirits, bourbon, Canadian whiskey, and Irish whiskey outperformed the total category, while tequila continued its rein as the only outperformer in white spirits. Total distilled spirits dollar sales also grew by 3.8 percent in the month of March, which was also slightly below the 6.8 percent growth seen over the last 3 months. Volume was up by 1.8 percent as price/mix contributed 2.1 points to overall performance. Brown spirits remained strong, with bourbon, Canadian whiskey and Irish whiskey all posting better than category numbers larger than 5 percent growth. Across white spirits, tequila posted sales growth of 9.8 percent and vodka was up only 2.2 percent.